Congregation Mikveh Israel's second cemetery, founded 1849. 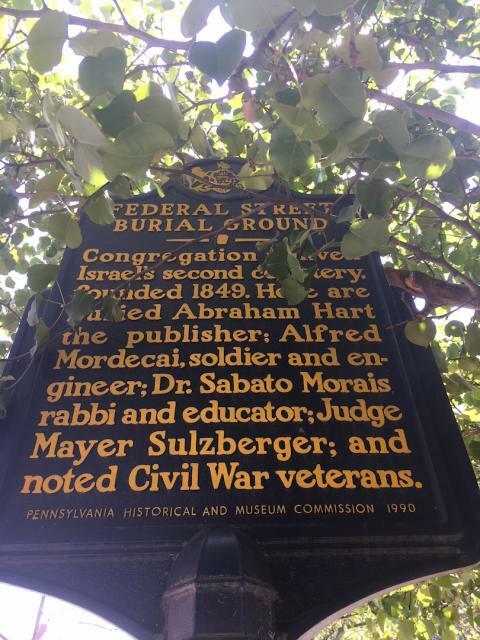 Here are buried Abraham Hart the publisher; Alfred Mordecai, soldier and engineer; Dr. Sabato Morais rabbi and educator; Judge Mayer Sulzberger; and noted Civil War veterans. This marker can also be identified by its HM code. You can use the hashtag #HM1JM8 in tweets, and any other place where you might refer to this marker, including when searching on this site.